Italian made triple-milled solid shaving soap with a clean barbershop scent (bergamot, lemon, lavender and baby powder). A triple-milled solid shaving soap made in Italy for RazoRock. 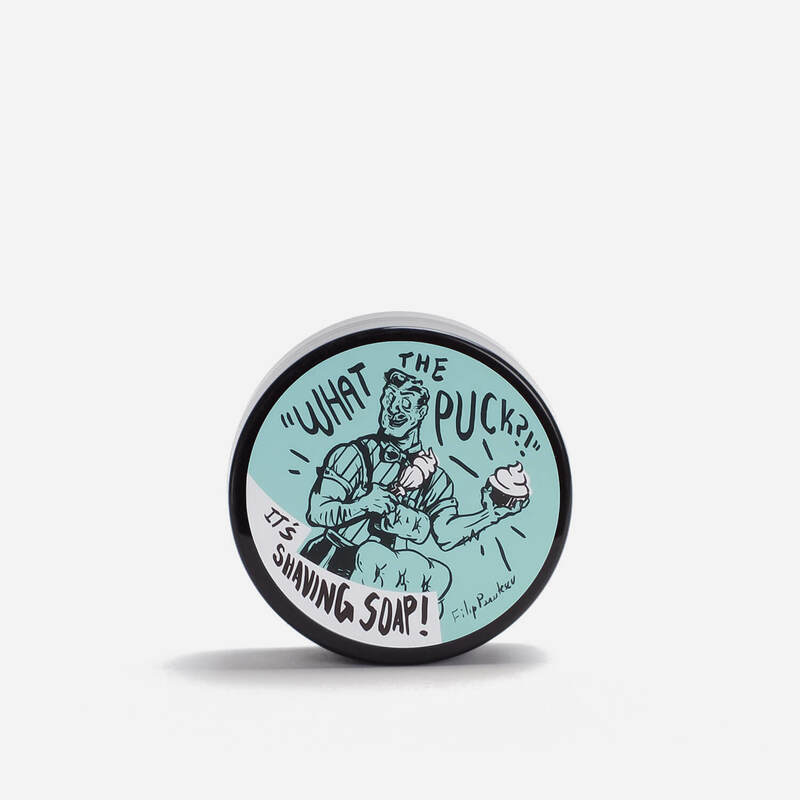 The soap is housed in a black plastic jar and is fragranced with a clean barbershop scent (notes of bergamot, lemon, lavender and baby powder). The soap is enriched with Shea Butter and Lanolin. If you are familiar with Razorock soft soaps, you are going to love the new triple-milled formulation. The new hard packs have the same ease of lathering with the soft ones, but the slickness of the triple-milled version reaches the quality you only get from artisan’s soaps; except the price which is shattering for the competition! As for the scent, they’ve just nailed it! You can blind-buy this one if you are a fan of Floid blue, and don’t forget the matching aftershave which is also stellar. Subtle scent and not overpowering but with a 3-hours longevity on my skin. I would be very happy if Razorock would release an EDT version of this barbershop scent in the future. As always excellent service from shave lounge.